The Natoma Company invests significant focus into finding the right staff members for each property managed. All prospective employees must pass a background check, including employment references, credit references, criminal check, and personal references. Employees are bonded and insured. On-going training is provided for employees to remain current with the many laws governing our industry. All employees are required to complete and pass annual courses in Fair Housing and other courses. Maintenance technicians are educated on relevant issues such as asbestos and lead paint, and most have received their training and certifications, to avoid liability situations for the property owners. We work together as a team to provide superior service to our property owners and residents. 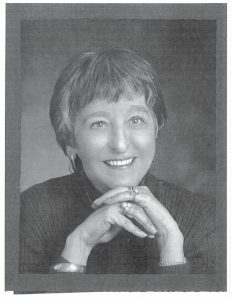 In 1982, Alice R. Elkins formed The Natoma Company – Property Management Services. Alice Elkins is an expert in the field of development and property management. Alice R. Elkins’ professionalism and integrity are backed by 30 years in the property management industry. To that experience, she adds a real estate license and a Certified Property Manager (CPM®) designation. Mrs. Elkins is a graduate of the University of North Carolina. Mrs. Elkins is active in industry and civic associations and completed two terms as the elected president of the Sacramento Valley Apartment Association. She serves as a member if the Institute of Real Estate Management, the Sacramento Chamber of Commerce, and is a member of the California Apartment Association and Rental Housing Association. She has been presented with an award for Excellence and Dedication by the U.S. Department of Housing and Urban Development. In 1991, Tricia joined The Natoma Company, and is currently the Vice President and partner in The Natoma Company. Her background in the Sales, Commercial Insurance, and Collections industries has complimented her experience in the Property Management field. She currently holds a California Real Estate Broker’s license (#01177959), as well as the Certified Property Manager (CPM) designation through the Institute of Real Estate Management, and the Certified Occupancy Specialist (COS) designation by the Department of Housing and Urban Development. She is currently serving on the IREM Sacramento Chapter Executive Council. While on the IREM Executive Council, she served as Vice President of Programs (2012), and Vice President of Finance (2013). She is a third generation Sacramento native. Beckye Murrain has been the Controller with The Natoma Company since 1999. 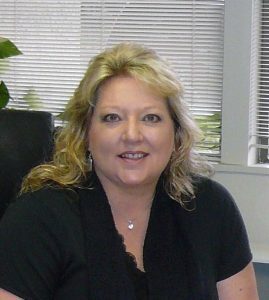 She has worked in the accounting field for over 24 years and earned her AA degree in Accounting at Cosumnes River College. She oversees all of the accounting functions and was instrumental in the conversion of the accounting software to Rent Manager. She plays an integral role in the company and often acts as liaison for clients when they have financial questions. Beckye has also been quite active with local charitable events. 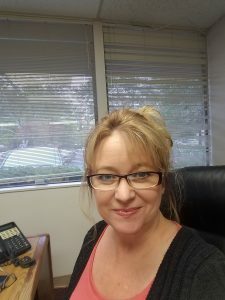 Tammy began her property management career in 2003 while living in Denver, CO. She has served in many areas in the property management field, from Leasing to Regional Property Manager. She has extensive training and knowledge in the areas of on-site management, budgeting, resident retention, developing her team to the day to day operations that consist of property management. She currently holds a California Real Estate License (#02017145). Perry began his career at the young age of 16 working for his father’s construction business in the Bay area. He worked in all phases of construction with heavy emphasis in electrical. He holds an AA degree in Business from San Jose City College, and is a Journeyman Electrician. He also built his own custom home in the Foresthill area. In 1992, Perry joined The Natoma Company, working as Maintenance Supervisor of a large property. In 2001, he was promoted to Director of Maintenance, supervising maintenance at the properties and overseeing major repairs and replacements. 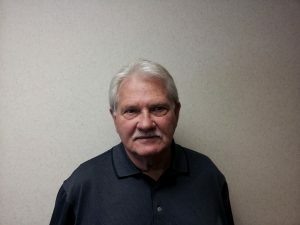 Perry has brought a wealth of knowledge and experience to the Company, and he is able to save our clients funds on major repair or replacement items that can be done “in-house”. Perry holds certifications in Lead Paint, Asbestos, and HVAC.